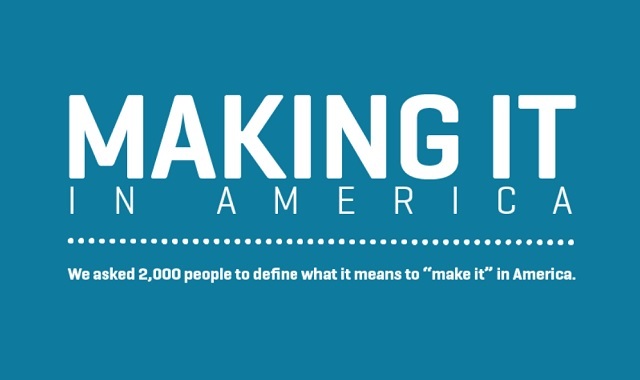 Making it in America #infographic ~ Visualistan '+g+"
"Making it" in America means you've reached a level of success, comfort and security that you find wholly satisfying. It means you've arrived. It's time to relax and enjoy! While the components that comprise a "made it" life can vary dramatically from person to person, in more ways than you might expect, people agree on what it means to "make it" in America!